This post is dedicated to Joy Castro, and to any other writers who have been feeling overwhelmed with work. I well know the feeling of not having enough time to write, or (worse) having the time, but lacking the energy or will. And as I am about to start a PhD, which will involve teaching, studying, and writing (both scholarly essays and fiction), I have been curious about techniques that might make some of this work easier. Ideally, I would simply become more productive, a la Getting Things Done, or via intricate reminders and to dos. An easier option, however, is to off-load some of the work to someone else. I’ve been reading about “outsourcing” in a couple of different places, primarily in Tim Ferris’s The Four Hour Work Week, and from Sean Platt, over on the Digital Writer. It is, after all, a peculiar notion that a writer should do everything herself. An old master like Rembrandt worked with varying amounts of assistance from pupils, whether or not the final painting bore his name. Stephen Sondheim insists that he collaborates in each of his musicals, leaving the story design to someone else. And Dumas wrote each chapter of The Count of Monte Cristo from outlines drawn up by Auguste Maquet (as dramatised in Safy Nebbou’s film). The simplest approach to outsourcing is to draw up a list of the things you really love doing and the things you really don’t, and see how cheaply you can employ someone else to do the latter. That way, you are doing more of the activities that energise and satisfy you, and fewer of the ones that sap your strength. On websites like Outsourcely (see comment below), fiverr and Guru, freelancers post what they can do for what price (in fiverr’s case, it’s a five dollar fee). Once a freelancer has a certain number of recommendations on the site, they should be reasonably trustworthy, and file sharing sites like google docs and dropbox can make it easier to share work with an assistant. Speaking for myself, I struggle to submit stories to magazines. I have no problem entering writing contests, but general submissions trouble me. The process clearly activates something negative and uneasy in my head. It might be worthwhile–through meditation, self-discipline, and therapy–to fix this deficiency in myself, but it might be simpler to pay someone else to submit work to magazines on my behalf. A less commercial approach to outsourcing would be the Monte Cristo route–to split the creative process between two people. I have done this once with a writing friend: I asked him to read a particular Steinbeck short story and then to send me an outline for a new short story, with different characters and in a different setting, but structured similarly. I have begun the story, and the writing has so far gone very well. I would be curious to try this for an entire novel–each of us describing an idea, a setting and a list of characters, and the other then providing chapter outlines. After the first draft, one could obviously alter anything that felt off, but the first draft would be done. 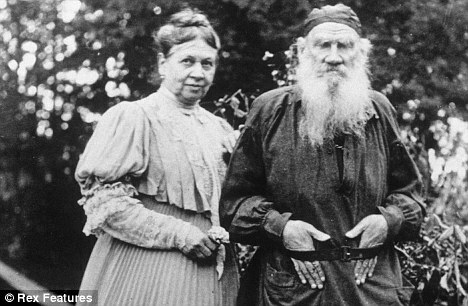 A third option revolves around the “Tolstoy’s Wife” approach: someone else hassles / begs / forces you to write. If a “wife” is not available, one idea would be to agree with a friend that you both will enter, each day or week, a certain number of words or pages in a shared dropbox folder. Why strain under the mental double-duty of having to write and having to motivate yourself to write? Outsource the motivation. (I like 750.com‘s badges for this, too). A fourth is potentially illegal, and so I would check local privacy laws before trying it, but, speaking as a teacher, I can’t help thinking how useful help with marking student essays would be, which is for me is more draining than actual classroom teaching (which I love). For each class, one could produce a detailed expectations / grading rubric sheet for students, then explain the sheet to an assistant, and have him or her do the initial sweep. Grading would then be a process of double checking someone else’s assessments–much less tiring. How much writing time could you regain if you received four hours help with each lot of marking? One last method: outsource to a future version of yourself. We are more complex than we know, we are all legion, and different parts of us seem uppermost on different days. Some days, the imagination is full of new thoughts; some days, typing for hours is easy; some day nothing comes out at all. With that in mind, it may help to hand each day’s imagination the sort of work it most wants to do. I have been trying to get better at writing down and elaborating new ideas when they come, or, during the days when my backside feels at ease in a chair, to draft, one after another, a few of the blog posts or mini-essays that I have previously sketched, leaving the polishing for a day when polishing feels right. Does any of the above disturb you? Does it seem too “un-artistic”? What methods do you use? Outsourcely aims to connect millions of remote workers around the world who are looking to establish long-term relationships with employers who are looking to fill long-term remote work and build sustainable working relationships. Employers seeking for the most talented remote workers and freelancers around the world can hire directly and pay zero commission fees, while remote workers can look for stable, long-term remote jobs with a great employer and pay zero fees with Outsourcely. I don’t think outsourcing is unartistic at all, though I certainly see the criticism. The latest fiction series I’m creating will be outsourced in part. But I think of outsourcing the way JJ Abrams does outsourcing. Did he create the world of LOST? Sure. Does he write every episode? No, of course not. So I want to create a world as the architect, but have a team of writers who can articulate those worlds, so I can build new ones. It’s just a matter of what you see as creation, and I tend to think of it on a large scale. LOVE the idea of outsourcing to your future self!